ndia is fast becoming the indispensable nation of cyberspace. The Indian market could decide the future of many technology giants. As such, she can be seen as a policy pioneer. In November, Ajit Pai, Chairman of the US Federal Communication Commission, announced the rollback of the Obama-era rules on net neutrality. As the historic architect of the internet and arbiter of its values of openness and freedom, the US appears to be ceding its normative influence over the medium. Meanwhile, the EU’s misgivings about US technology corporations have driven it to enact a new data protection regime that sets its own highly restrictive standards on digital markets, content regulation and privacy. This is par for the course for a community that is looking increasingly inward, and no longer sees itself as a model for other countries. Farther east, China has outright rejected the West’s open model for the internet and has outlined a vision to become a cyber superpower premised on state sovereignty and control. Thanks to such developments, leadership in cyberspace is contested and a new global regime will follow the model that best balances several competing priorities. 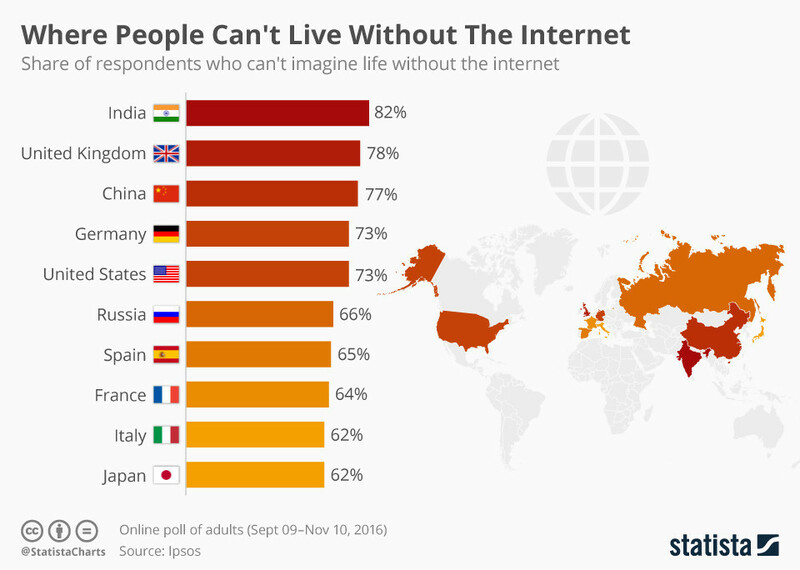 With a 450 million strong – and growing – online population, India is capable of exercising considerable heft in shaping the future of the internet. India’s multiple identities only add to this weight: as the world’s largest democracy, it commands the legitimacy to shape an open and free internet; while its role as a developing country ensures it will account for what matters to the global south, such as affordable access, local content generation and platform security. Two recent events have further bolstered India’s leadership in cyberspace claim. The first was the Telecom Regulatory Authority of India’s (TRAI) recommendation that access to the internet must not be restricted by discriminatory measures from service providers. Even though some rough edges remain, such as the role of the proposed multi-stakeholder ‘advisory’ body and the regulation of Over the Top Services, the TRAI has done well to endorse the principle of net neutrality in its proposals to the Department of Telecommunications. Despite increasing convergence with the US on information technology issues, New Delhi was not swayed by America’s deliberations. Instead, the TRAI chose to endorse a pragmatic model that would balance commercial imperatives against consumer interest. In this process, it has also given New Delhi the ability to claim moral leadership over the principles that define the internet. The second development was the publication of the Ministry of Electronics and Information Technology’s consultation paper for a Data Protection Framework for India. Prompted by the Supreme Court’s verdict in the Puttaswamy case, the Indian government is now working to protect individual privacy in the digital world. While the final law will undoubtedly generate debate, the report notably makes it clear that India will balance civil liberties, security and data-led innovation. No country has yet managed to strike a perfect balance. In countries like China, privacy has been subsumed in favour of national security. In democracies like the US, social media platforms have been left vulnerable to foreign influence; and in the EU, stringent data protection laws might stifle innovation. If India can fine-tune its own design for a data-driven economy while protecting the rights and security of its citizens, it will have created a prototype that is at once unique, and yet replicable. Both these developments highlight something significant: India is carving out its own unique position in cyberspace, one that is likely to be emulated by emerging markets. With multiple institutions – from courts to political leadership to civil society – actively contributing to a diversity of opinion, the shape of an Indian consensus on cyberspace is slowly emerging. The Digital India initiative could culminate in a distinctive offering that will not only invigorate India’s economy but also serve as a model for other countries, including the industrialized West. The internet is provoking new debate about the emerging social contract between citizens, businesses and the state. These debates will eventually find their way into international norms and regimes. To prevent the emergence of a “splinternet” and to preserve the democratic nature of cyberspace, India must proactively tell its own digital story. India’s position on cyberspace is equally progressive. As things stand, India has both the capacity and the moral authority to shape a global digital economy. At the Global Conference on Cyber Space in New Delhi, Prime Minister Modi believed that the internet validates the ancient and inclusive Indian philosophy of “Vasudhaiva Kutumbakam” – the world is one family. “Through technology, we are able to give meaning to this expression, and indeed to the best of democratic values,” he continued. A democratic, innovative and secure cyberspace is consistent with both India’s ancient moral values and its modern economic imperatives. India’s recent policy actions on net neutrality and data protection are a step in the right direction. New Delhi must now craft a narrative around India’s digital economy that appeals to the rest of the world.